Our chapter is always looking for new members. 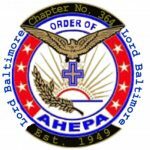 Experience the pride of AHEPA. We pride ourselves on helping the community, churches and aspiring students. You can always contact us to learn more. Please send us an e-mail and we will contact you.